“Devastating political satire by a fine writer …” —Andrea Dworkin The story of the Basbas fraternal twins as they burrow into the integument of power in Philippine politics, their rise accompanied by catastrophes big and small, to themselves, to the people around them and to the nation they aspire to dominate. A brilliant roman a clef, fast but lyrical, conferring a mythic dimension on even the banal and the putrid, as only the wondrous prose of Ninotchka Rosca can. 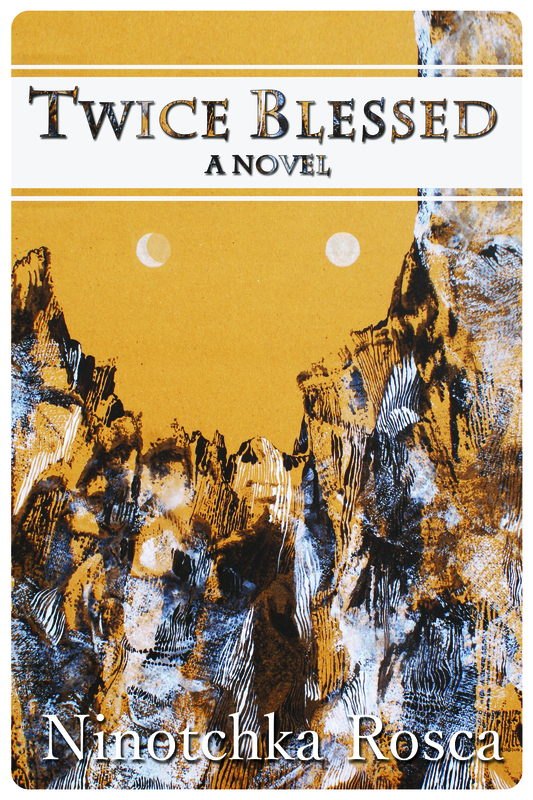 Like most of her works, Twice Blessed is a narrative palimpsest, with an older timeless way of life glimmering through the words and events of the Basbas twins’ contemporary tale. Born in the Philippines, currently a resident of New York City, Ninotchka Rosca travels the world in search of stories and causes. She has published two novels, Twice Blessed being the second. The book was given the American Book Award for Excellence in Literature when it was released in the US. Her first novel, State of War, is considered by many a classic of Philippine Literature. She did her BA in English (Comparative Literature) at the University of the Philippines and was doing her graduate studies in Asian Studies (Khmer Civilization) when she had to leave the country. She has worked for several Philippine publications and has roughly 700 by-lined articles and essays published in various periodicals in the Philippines, Asia, the United States, and various countries in Europe. Both restless and indefatigable, Ms. Rosca is equally known for her political activism, having helped create two women’s organizations (GabNet and AF3IRM) and enabled many others to survive. Her interest ranges from literature to theoretical physics to economics and history. Once, as a UP freshman, she felt she didn’t know enough and began reading all the books in the Literature Section of the UP main library, alphabetically. She stopped at the letter L, and thus became likely the only student who’d read Par Lagerkvist at the time. A life spent in the traversing of so many paths is difficult to encapsulate. She calls herself a transnational Filipina.